Their starting quarterback and running back never dressed, their top wide receiver joined them on the sideline with an injury of his own, and their Pro Bowl tight end was ejected by an official who didn’t seem to think his antics were very funny. Good thing for the Chiefs that everything was status quo on defense. 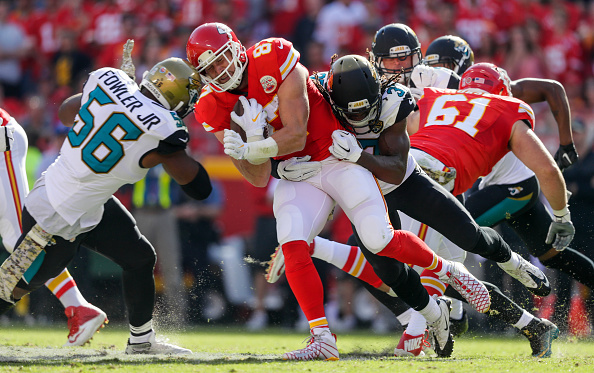 That stout bunch kept Blake Bortles in check most of the afternoon, then stuffed the Jaguars on fourth down with less than 2 minutes remaining deep in their own territory, preserving a 19-14 win on Sunday made even more impressive by the long odds the Chiefs overcame.